â��Kartar Scientific Industriesâ�� is looked upon as one of the most reliable and trusted source of Test Sieves. We offer highly durable and strong Test Sieves that are specially designed to offer accurate and efficient particle analysis. The super strong and durable Sieves, which conform to IS test standards have made us one of the celebrated Test Sieves manufacturers and suppliers from Ambala Cantt, Haryana. 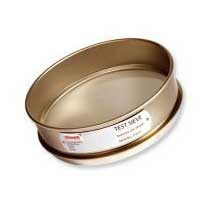 We also offer wooden sieves as part of our test sieves range.